Nemesis Inferi: A Bad Mess (2018). Nemesis Inferi are a group of metal veterans who have been kicking around for over 20 years. In their last two releases the band has moved away from its symphonic black metal origins and settled into a sound that wavers between groove and thrash from song to song on their 2018 release, A Bad Mess. The record is a solid piece of work with plenty of power. Downtuned guitars are fairly pervasive, blast beats make a number of appearances; if you were to describe the concept of metal in the 2010s as an amalgam of all the kinds of metal that came before A Bad Mess is the exact kind of sound you’d be describing. Best solo of the album award goes to the breakdown on “Hate my Name,” which also features the catchiest chorus. G.M. 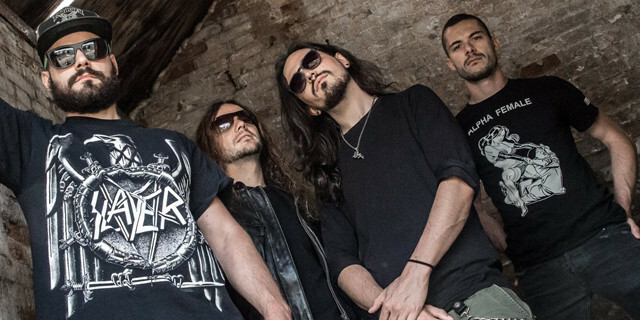 Gain’s shouted and growled vocals give the sound a bit more of an edge than typical groove metal and hearken back to the black metal sound of Inferi albums past but sometimes leave a bit to be desired against the fairly melodic compositions. You can really hear this on “Anything Anymore,” which I think is the most musically compelling song on the record but which is under-served by a screamy vocal. On the other hand “Vertigo” is a powerhouse loaded with throbby guitars and overwhelming drums and it’s matched beautifully by Gain’s grinding voice. Overall A Bad Mess is very listenable and the kind of metal you can throw on in the background without worrying that it’s going to give your granny a heart attack or make your friends beat the AUX cable out of your hands. I know that’s not going to be seen as a ringing endorsement by a lot of metalheads but sometimes it’s nice to have heavy music with arpeggio-driven solos that isn’t pure face-melt to get you through the day without blowing out your speakers. Nemesis Inferi have made an album that’s the ideal form of groove in that sense and that’s worth a little respect. 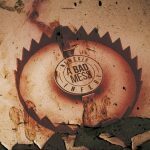 You can find A Bad Mess streaming on Deezer, Spotify, and Play Music; you can learn more about the band on their Facebook page. White Cross: Take heart. You’re not alone.